Bethesda released the first major performance patch for Fallout 76 today, and at least on PS4 and Xbox One, it's almost as big as the game itself - a whopping 47GB and change. On PC, the patch is only 15GB, but Bethesda's launcher won't start the download unless you have 50GB of free space anyway. At least, it wouldn't for me. So while the update doesn't increase the game's actual install size all that much because it replaces a lot of old files, you may need to make some room to download it. Most of the update consists of much-needed performance improvements. 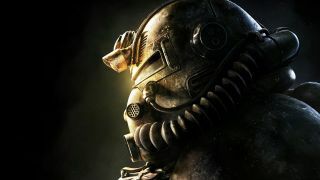 Bethesda says "the Fallout 76 game client and servers have received additional stability improvements." Hopefully these improvements help decrease connection times, lag, and disconnections. Hitching issues have also been addressed, Bethesda says, along with some unstable menus on Xbox One. Perhaps most importantly, the bugged Bureau of Tourism quest which previously couldn't be completed has been fixed. "The Prickett's Fort token dispenser can now be repaired, and players can no longer walk through it," Bethesda said. There are some building fixes in the patch as well. For starters, logging out should no longer break your blueprints into smaller parts, which will make setting up and rebuilding your personal camp much easier. Bethesda says an issue which could cause repaired items to remain broken has also been fixed. Here are 24 essential Fallout 76 tips to help you out as you explore Appalachia.